Superbly stylish Silhouette® Shades take the harshest sunlight and smoothly transform it into softly diffused light – creating beautiful, calm light effects. UV protection without compromising your view, perfect for large windows. Smartcord® features a retractable pull cord that maintains a constant length. 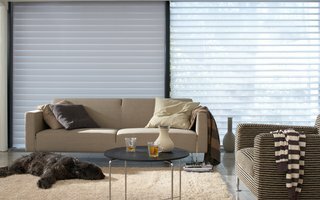 Operate your shades at the touch of a button – with a remote control operation or wall switch. 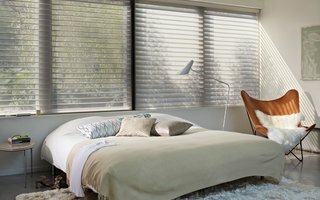 Wonderfully stylish, Silhouette® Shades offer a practical option for rooms with humidity. The construction of soft, rotating Silhouette® fabric vanes gives you the freedom to create a variety of moods. Simply tilt the fabric vanes to let in more or less light and enjoy the daylight whilst filtering out brightness, glare and UV rays. Simply by choosing Silhouette® Shades you will instantly be reducing the heat entering a room by 25% thanks to our special screen fabrics that deflect and dim the sun’s rays. In fact, with the vanes closed, you’ll enjoy 99% UV protection, helping prevent fading of your furniture, carpets and floors. Everything in the Silhouette® Shades colour palette says sophistication; soft whites, cool contemporary greys or subtle, natural earth tones – all perfectly complimenting a classic or contemporary interior décor. Here are some of our favourites. To find yours, go to your local Luxaflex® showroom. Super stylish, Luxaflex® Silhouette® Shades are very versatile – making them perfect choice for every window in your home with a range of vane widths to suit your style. Ask your local Luxaflex® dealer to show you how larger vane widths enhance the look of larger windows. Luxaflex® Silhouette® Shades give you the choice fabric qualities. Each has its own unique feel – with sheer soft silk and smooth linens – and exclusive designs. 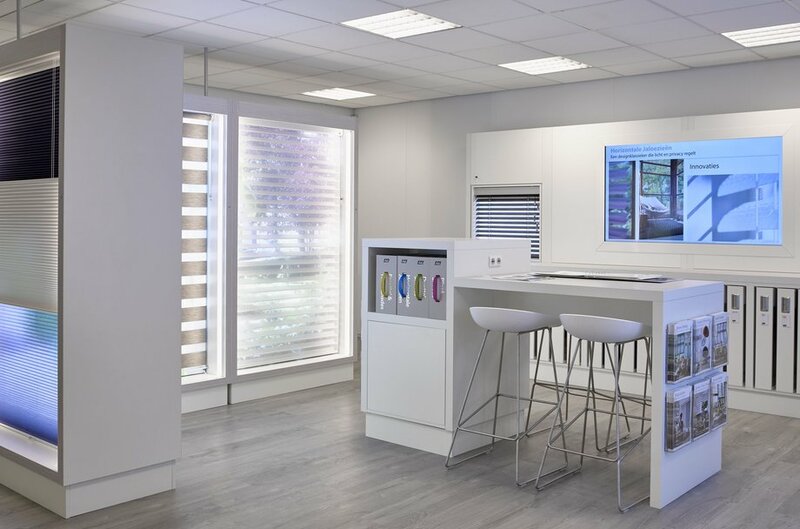 Go to your local Luxaflex® showroom, and take a touch test. Find which feels right for your home. There are so many different ways to enjoy simple, smooth, effortless operation of your shades, you’re sure to find a perfect option for your home. And, of course, every system has child safety as a top priority. So, from the unique retractable cord of SmartCord® to advanced remote-controlled motorised operations, why not let your local dealer talk you through all the options? Final a local Luxaflex® showroom near you.